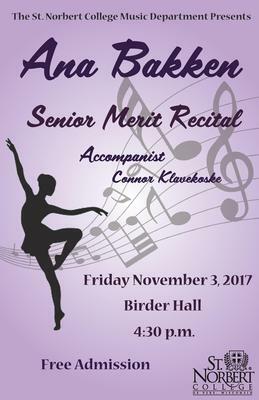 St. Norbert College Music Department, "Senior Merit Recital - Ana Bakken" (2018). Music Performances. 58.